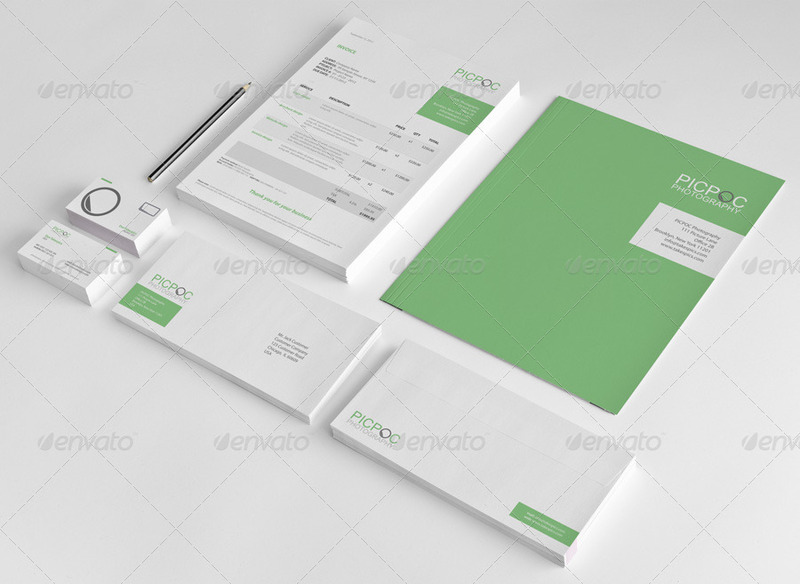 Stationery set featuring invoices, letter and cover page templates. 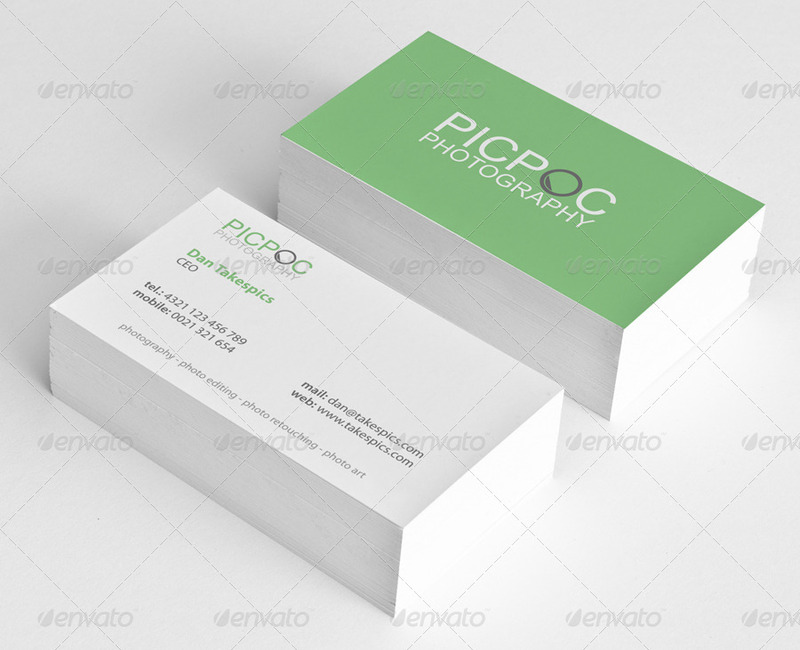 Also included are business card designs, a binder and envelope designs. 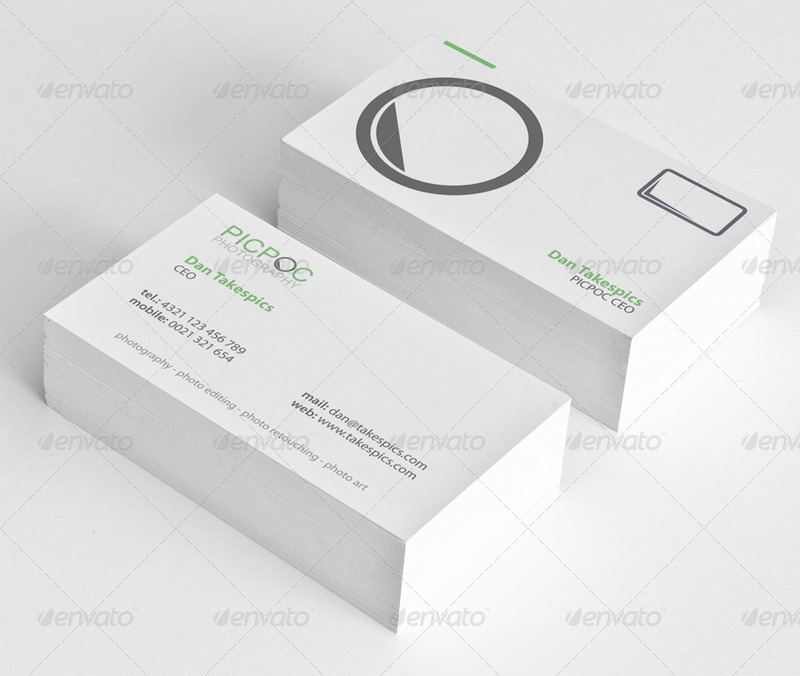 The sample identity is fully included with logo. 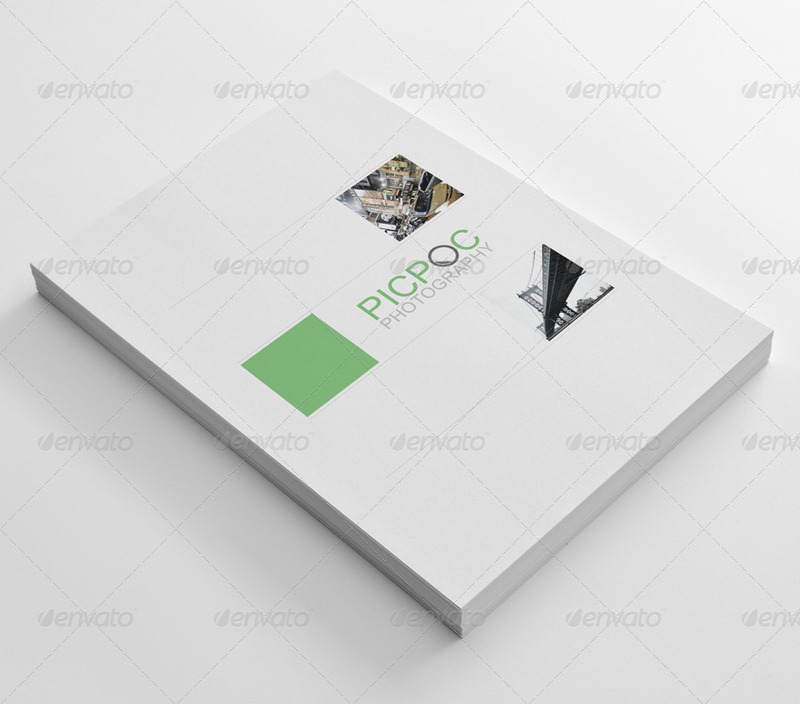 It is for an imaginary photographer/photo editing company, but the logo can be replaced easily which makes the set/identity easily adaptable for any sort of professional use, be it a small personal business or a larger corporate enterprise. 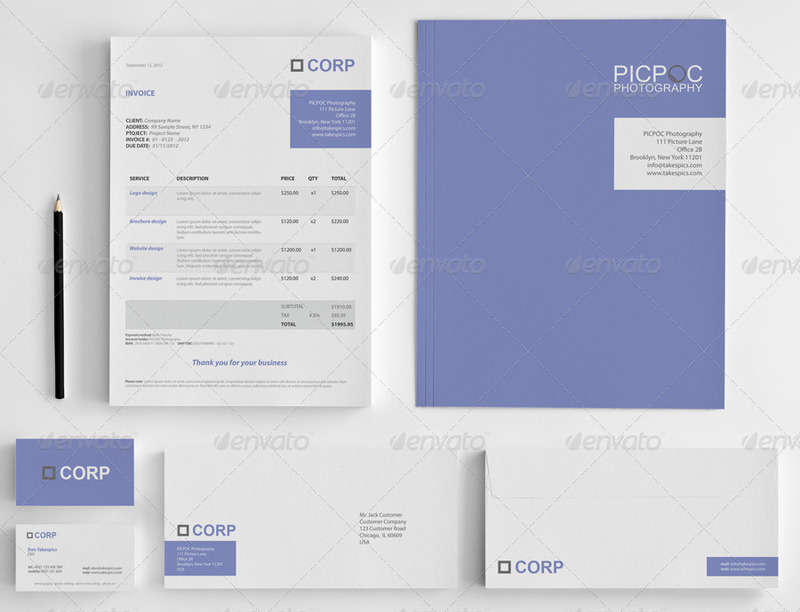 The invoices, letter and cover page are available both as Photoshop .PSD format for designers and Microsoft word .DOCX for non-designers. This way designers can also pass this work on to their customers who can use these designs without needing to learn design programs first. Both sets of files have been optimised for easy editing. If you are interested in invoice designs only make sure to check out my invoice templates bundle here! 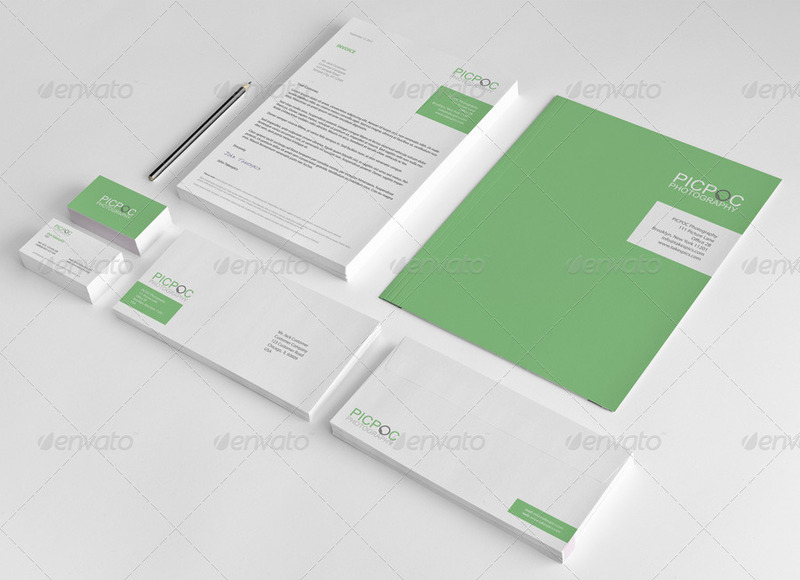 You can also purchase this item as part of a bundle containing 3 bestselling corporate stationery items at a reduced price here. 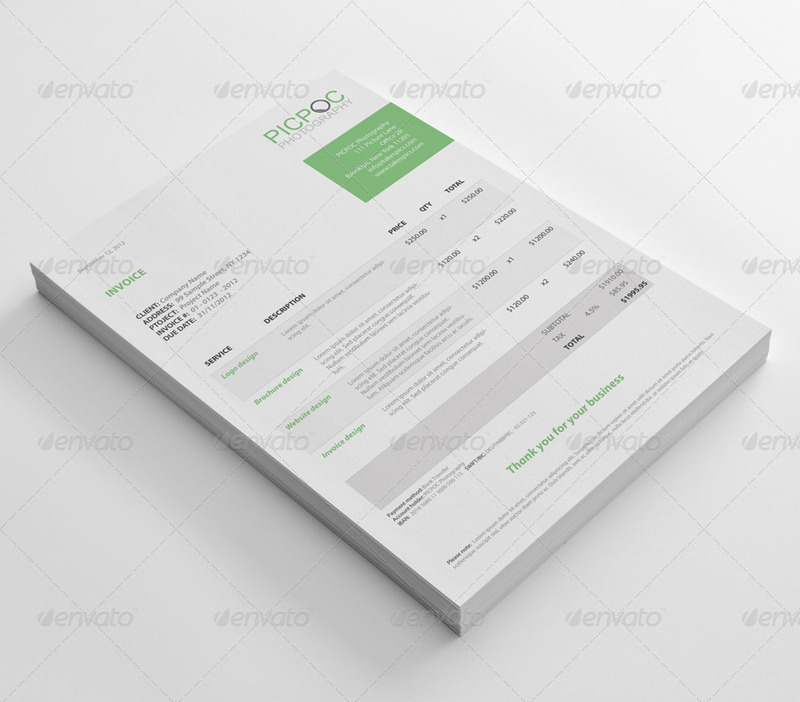 included is a US invoice format and a European invoice format. The European one also features room for payment method and bank data. Please note that the mockup files are not included.